Google offer an impressive suite of free online tools and to use these to their full potential, you will need an account. In recent years, you would require a number of different accounts for services such as Gmail, YouTube and GoogleMaps, but now there is “One Google Account for everything Google”. This post will show you how to create a Google Plus account. 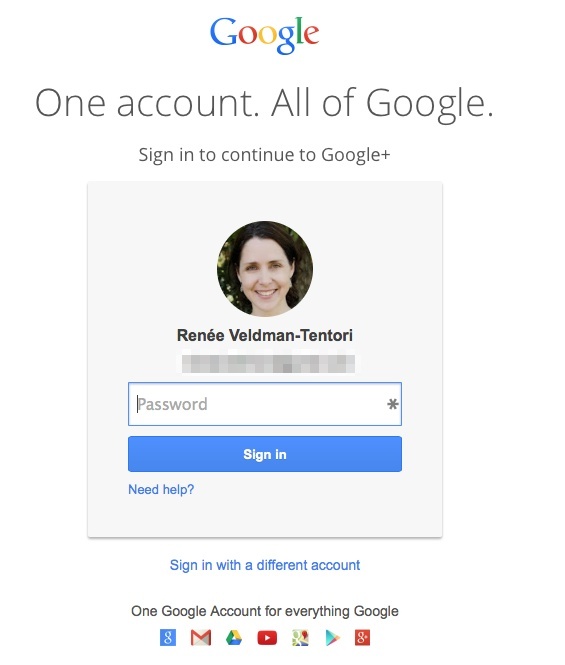 With this new “one account” structure though, this means that if you already have an account for Gmail, YouTube, Google Maps, Google Play or any other Google service, it will simply be the same account, you’ll just have to activate it for Google Plus. Go to http://plus.google.com and either try logging in if you think you may already have a Google account (for example, if you have set one up in the past for YouTube or Gmail). You can also click on “help” if you need to, or “create an account” and follow the prompts. For any other location/language, click on either of those links, scroll to the bottom right and choose your location/language. You can also scroll from the Google Plus Home Screen to the bottom and click on “Privacy & Terms” (again, change your language in the bottom right if you wish). These instructions are based on using a PC/Mac Laptop or Desktop. If you are using a mobile device – a mobile or tablet – you can visit the App Store and download the Google+ app for free.